Sometimes there’s just no time to cook. When you’re on a special diet, whether you’re on a gluten-free, vegetarian, vegan, low-carb, or keto diet, it’s often easier to stay home and cook than navigate restaurant menus to ensure that what you’re eating complies with your meal plan. But sometimes there’s just not enough time. And sometimes you open the doors to your refrigerator only to find a few sad vegetables at the back of the veggie drawer and have no motivation to turn them into something tasty. 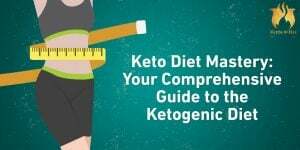 The keto diet can feel especially difficult when buying food at restaurants or prepared meals because there can be so many hidden high-carb fillers lurking in the ingredients list. Cornstarch is a cheap and common thickener in canned soups and instant meals, which means that many canned soups are off-limits for the keto dieter. 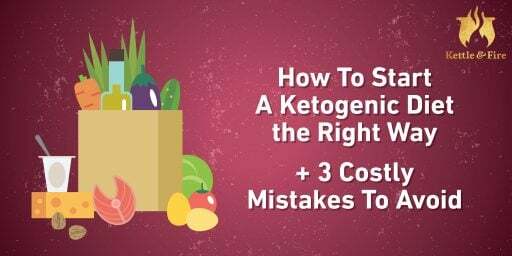 There are some great non-perishable options for those on keto and low-carb diet plans, and if you stock up in advance, you’ll be ready for those days when there’s just not enough time. Canned foods get a bad rap, often because they have too much sodium, but there are actually some great options out there for keto dieters, especially if you’re willing to spend just five minutes dressing them up. These foods are almost guaranteed to be free of high-carb fillers and can be the base for a quick meal, soup, or snack. While some semblance of preparation is required before you can enjoy most of these foods, it’s minimal and can get you through a day when you don’t have time or feel like cooking but want to stay on your low-carb high fat (LCHF) plan. It’s difficult to find high quality, keto-friendly canned and boxed soups. Of course, anything with too many starchy ingredients is out, which means no chicken noodle soup, minestrone, or canned chili with beans. And again, canned options are often packed full of starchy fillers, added sugar, or sodium. While most keto proponents don’t harp too much on sodium intake, that’s also a consideration when deciding on the best canned soups, especially if your existing keto plan involves a lot of salty meats like bacon and salami (ideally you’re not overdoing these things!). But there is hope! And there’s also room in some of these options for you to throw in a few of those veggies at the back of your refrigerator or doctor up the bowl with cheddar cheese, avocado, or heavy cream to add a bit more fat or protein. You can also dilute the soup with some bone broth to reduce the total sodium count and stretch the dish a bit as well. Amy’s Organic Soups are another place to investigate when shopping for keto canned soups. While not every option is keto-friendly, they prioritize organic ingredients and BPA-free cans. The Tom Kha soup (Thai coconut, dairy-free), Cream of Mushroom, Vegetable Barley (not gluten-free), and Chunky Vegetable all come in between 7 and 12 net carbs per serving (serving size is half a can). Top the last two with a big dollop of olive oil to up the fat content and flavor. Progresso Broccoli Cheese soup is also a surprisingly acceptable choice in the creamy soup department. With 6 grams of protein and only 11 net carbs per one cup serving, this soup is another candidate for a little bit of stove top doctoring. Add a bit of vegetable stock or bone broth, maybe some red pepper flakes or black pepper, and you have a filling, low-carb meal with a kick. Special diets can often feel limiting, especially on the days when you don’t have time (or want) to cook. Having a few ready-made options that require little or no prep can give you a much-needed break from day-to-day cooking. The next time you’re at the grocery store, pick up some of the canned soup options we’ve listed, and get creative. 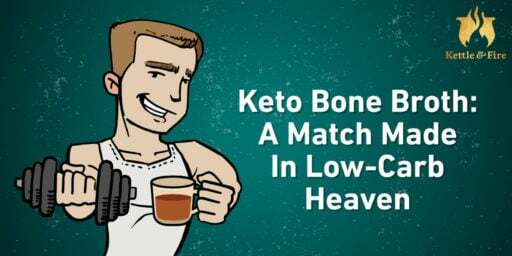 Add a few low- or no-carb ingredients into the mix, whether it’s high fat additions, bone broth, or simply some spices like garlic powder, chili powder, or Italian seasoning, and you’ll have a foolproof keto soup recipe on your hands in no time. Starting with a base that’s already enough to be a meal in itself and adding onto it will help you save some time and give you a chance to relax at the end of a long day.